Maybe you’re a Texas real estate agent looking for professional development resources—or someone who’s just thinking about trying to get licensed in the Lone Star State. This guide will go over how to choose the best real estate agent training for your needs. The best real estate training opportunities help you to jumpstart your real estate career and it pays to look at all of your Texas real estate training options before jumping into course work. Real estate in the Lone Star State is an exciting experience. The state of Texas is both large and diverse, with over 250,000 square miles and a population of over 28 million. From the mountains of the Big Bend to vast open desert spaces and some of the nation’s largest cities, Texas is a big and complicated market. At the same time, real estate is a quickly changing field. Technology is revolutionizing the way that people buy and sell properties. It’s changing how real estate agents do their jobs, and it’s also making various elements of real estate more complex. As a real estate agent, you’re supposed to be professionally experienced in the art of the property deal—but also good with numbers and savvy on lending and the world of finance. All of this can seem daunting to someone who is just starting out. Even for seasoned professionals, continuing education is vital, because there’s so much to keep learning over time. You’ll hear older real estate agents talking about “when I got licensed” and comparing today’s market to the markets of even 10 or 15 years ago. Today there is a lot of complexity in the field, and many new ideas and regulations to understand. So, how do you choose real estate training that works for you? Think about how to choose your real estate agent training school in a way that’s particular to real estate work in the State of Texas and the paths that you want to follow in your career there. One of the first ways to choose good real estate agent training resources is to figure out which kinds of students a school or training center caters to. It’s essential that you choose a school that correlates with your primary need for training. Someone who isn’t licensed yet typically doesn’t want to be involved in training or courses geared toward more experienced agents. 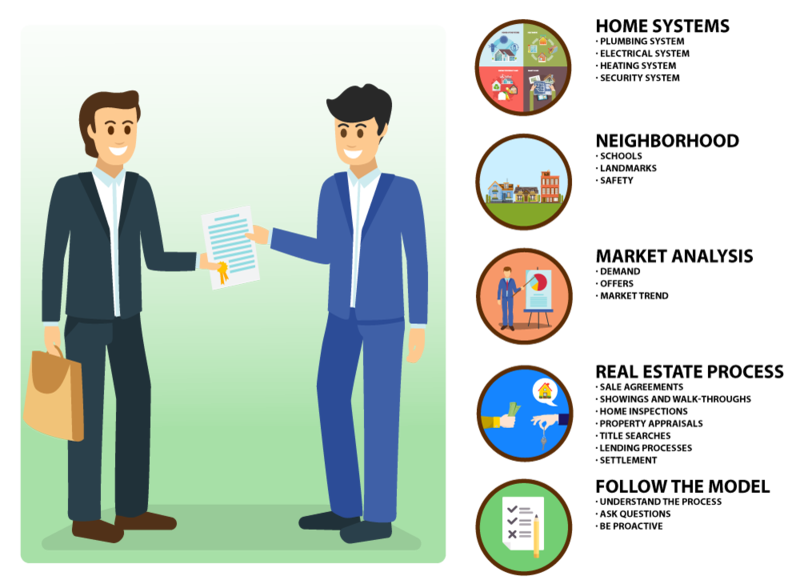 This guide from Investopedia shows the difference between pursuing a license as a real estate salesperson or as a provisional broker. A Kaplan guide further breaks down pre-licensing real estate training while laying out some of the complexities that apply. What Training Is Needed to Become a Real Estate Agent in Texas? For Texas real estate brokers, the process is a little different. In Texas, you can become an individual real estate broker with 270 classroom hours of qualifying real estate training courses. 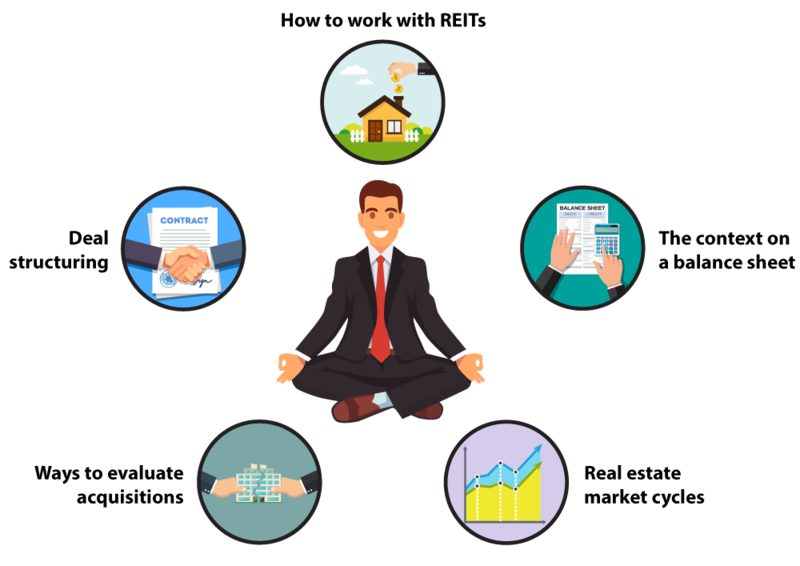 These are just some of the specializations that are important to agents or prospective agents who are trying to choose customized real estate training to improve their career prospects. Think about how a given school addresses these aspects of starting or continuing a real estate career. Another good rule of thumb is to choose your real estate training schools according to where you want to practice real estate. Each U.S. state has its own state exams and guidelines for real estate agents, brokers and salespeople. So if you’re going to be an agent in Illinois, you don’t want to take training courses on real estate in California. Again, you want to target to the role that you’re going to play. Different state courses are targeted toward agents, brokers, or those trying for license reinstatement. As you accomplish your state specific real estate research, look for specific online resources that will help you to work smarter and achieve more in less time. For instance, a site called PrepAgent has state-specific exam information all laid out for all 50 states in a clickable map. You can see the specific Texas information listed above, and more about what it takes to practice in Austin, San Antonio, El Paso, Dallas, Houston, or anywhere else in the state! Look for proof of completion requirements, prerequisites, exams, fees, and broker information in Texas to get licensed there and start working in real estate in a Texas community. A CCIM (Certified Commercial Investment Member) is a recognized expert in the commercial and investment real estate industry … This elite corps of CCIMs includes brokers, leasing professionals, investment counselors, asset managers, appraisers, corporate real estate executives, property managers, developers, institutional investors, commercial lenders, attorneys, bankers, and other allied professionals. Doing a search that’s specific to the State of Texas is essential to target your real estate training, but it’s important for another reason, too—real estate is all about community. As you target your research for real estate schools, you’ll learn more about what’s best in your own local area. In time, you’ll pass some of this vital information on to others as you work in the real estate field. In addition to the above criteria, try to pick real estate training that meshes with your personal outlook on the industry. This can be a little less technical, but think about how you want to practice. What technologies are important to you? And do you want to be a solo agent or part of a dedicated team? Real estate training schools exist that will detail how to work with a specialized team or squad of agents. You’re either going to be specializing as part of a team or doing all of these things yourself. Keep that in mind when choosing your real estate school, because you’ll want to have training that matches the model that you are inclined to work in. If you don’t yet know what your career is going to look like, try to choose a school that touches on all the bases and provides an excellent generalized background. In addition to targeting real estate training schools to your goals, there are other ways to select the best real estate training for your career. We’re going to talk about three criteria that some experts contend are critically important in choosing the best real estate course options. The first one is passion. We’re assuming that you’re going to bring passion to your new career. As such, you want a real estate training school that also demonstrates that passion and commitment to helping people to break into the industry. Look for a school that promotes itself as a thought leader and provides a warm reception and welcome into what can be a challenging field. The second requirement is connections. 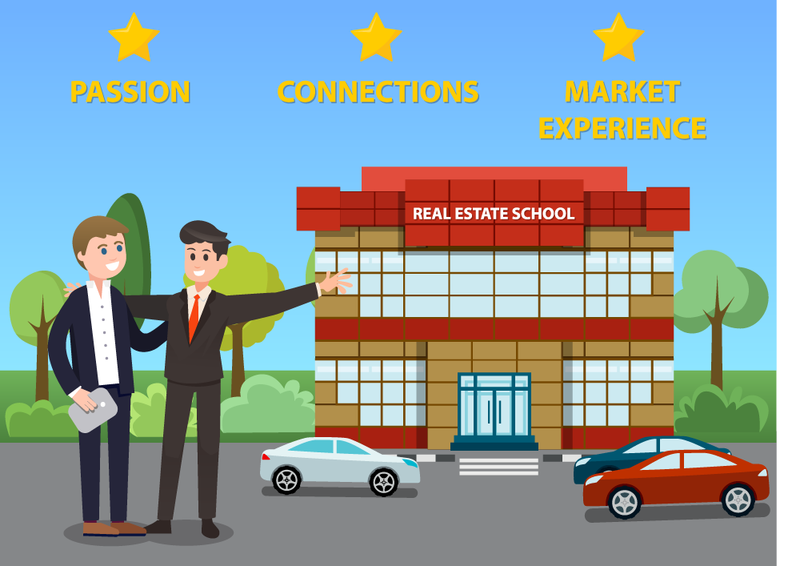 You want the real estate school to have the right networking in place to be effective in introducing you to real estate. Real estate education doesn’t come from just sitting in a class—it often happens in a community context. Depending on where you live and where you will be working, you’ll want a school that has demonstrated its value through its reputation. You might ask local agents or others involved in the process about a particular school to judge how it has positioned itself in the community. The third and more technical thing to look for is actual market experience. Real estate training instructors should be experienced in effective selling and real estate work. Real estate is by nature a career where experience counts. If you ask your instructor a bunch of theoretical questions and he or she comes back with a bunch of practical answers, you will know that you picked a good school. 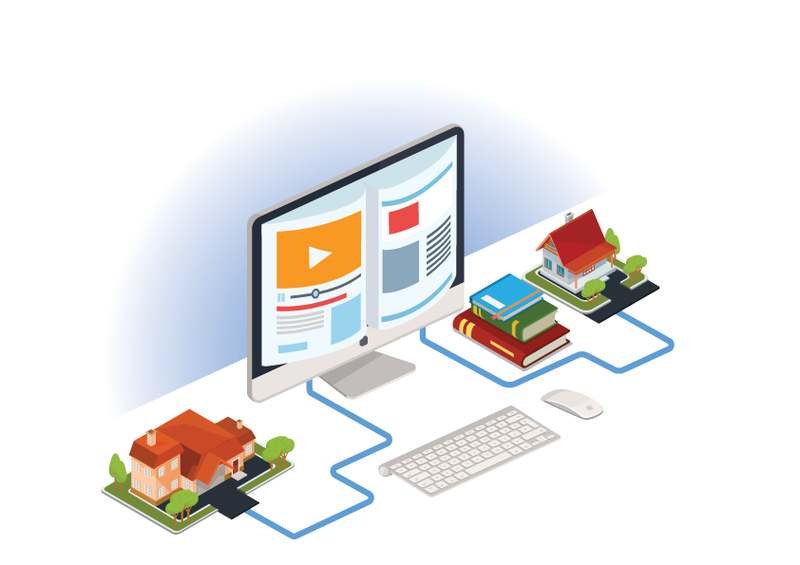 As you are looking for the best real estate schools online, you can also take a look at other specific platforms and online opportunities to learn more about the context of real estate. One such resource is BiggerPockets.com—an education site that takes a different approach. The makers call it a networking site. BiggerPockets.com and similar sites can help researchers to find out more about many of the real estate niches we talked about above. BiggerPockets.com has a lot of information on Texas real estate. There’s even information on what other investors consider to be the best Texas city markets, including Houston, San Antonio, and Dallas. The platform operates a forum with a Q&A discussion board for questions about Texas warranty deeds, mineral rights in Texas, home insurance in Texas, and much more. With particular tabs for hard money lending, wholesaling, fix and flip, tenant screening, and more, BiggerPockets.com provides a one-stop shop for a lot of the information that you may want both before and after licensing. Why is hard money lending such an important, and often overlooked, topic in real estate? It’s because the lending world is changing. Investors who are chasing deals are looking for the most efficient ways to get funding—so, many of the topics that you can study on these Internet sites, and in dedicated real estate training schools, will make a big difference. The right real estate training course will go below the surface and really show you the nuts and bolts of how some of these real estate processes work. Other platforms show particular options for online learning—platforms like Udemy have their own real estate training choices and options. However, it’s important to note that most agents don’t use these more generic resources in place of a full real estate training course—they just use them to help fill in around the edges. Many who successfully get licensed in real estate have found these third-party resources to be critically important. That’s because as you work toward licensure, you’re also looking to get more information about how real estate works practically. It’s this combination of real estate school education, training, and networking that gets you closer to your goals over time. When you want to find the best real estate schools, it can be really beneficial to factor in some of the newest real estate options based on new technologies. In the past few years, there’s been a renewed interest in real estate investment trusts. REITs enable you to invest in real estate without buying a whole property. If you haven’t heard of REITs before, look closer. You’ll see that many top U.S. landmarks and millions of other buildings are owned through a REIT structure. Much like exchange-traded funds and commodities have done elsewhere, REITs help make real estate investing much more versatile. So if you want to be a new real estate agent who understands these new options, look for the best real estate schools online or in your local area that provides this kind of instruction. By getting more targeted types of real estate training, you’ll be more able to offer your own skill and experience when advising clients. When you’re pursuing a Texas real estate license, it’s a good idea to look at REITs in this context. Past cases where Texas REITs had to pay out over $8 million for misleading investors about distribution payments show how federal regulators would handle businesses in the state. State laws will also apply. Here’s a tip that many real estate training experts might pass over; however, we think it’s incredibly important for getting the best real estate training and becoming a successful agent. While you do your research on where to find the best real estate schools, take time to walk a neighborhood in Austin, Dallas-Fort Worth, Waco, or elsewhere and really see what’s happening there. Take advantage of open houses or make appointments to tour foreclosure properties. Practice looking at the “bones” of a property and understanding why conditions matter. Take a look at what some flippers or other investors are doing in a particular area. As you go, you’ll apply this insight and information to your license courses or continuing education, and that combination will really pay off. In so many ways, real estate is a practical field. 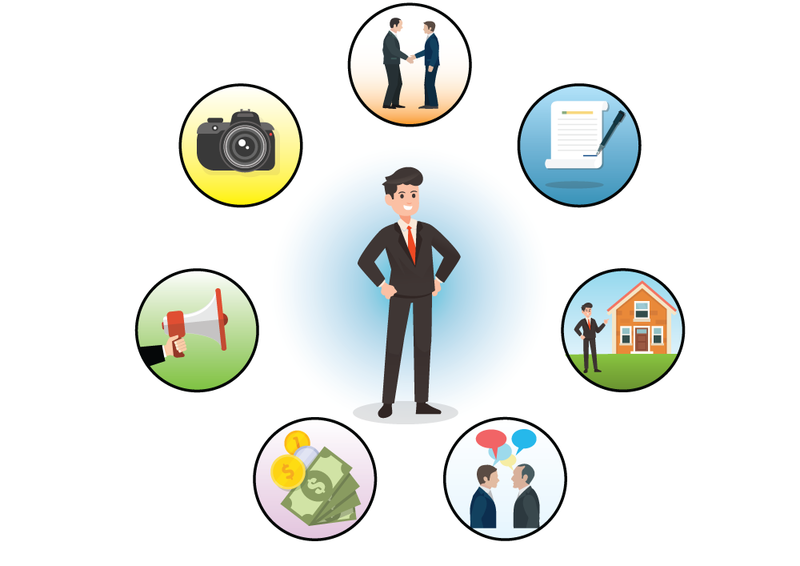 You want the best real estate training, but you also want to demonstrate skills in the field. So, by getting immersed in neighborhood real estate while studying and researching, you accomplish that dual objective. Want more from your real estate training school? Look for schools that help you with these sorts of practical issues. One such issue is heating and cooling and home systems. For real estate agents, investors, inspectors, and everyone else, it’s important to have a working knowledge of home systems. Many of these professionals become pretty savvy in plumbing and electrical work as well as HVAC. They see different properties year in and year out, and they understand what home systems typically look like. For instance, you’ll start to look at different categories, such as forced air versus radiant heat, baseboard, heat pumps, gas or oil furnaces, or geothermal systems. In Texas, we don’t see a lot of heating systems doing a lot of work—in fact, some people feel like you don’t really usually need a furnace in Texas at all. You’ll see fewer of the old gas and fuel oil heaters because Texans are not so reliant on extra heat! Heat pumps may be a good option for those in the northern part of the state where winters get a bit chilly. Geothermal is also starting to gain popularity in Texas. You’ll start to get good at understanding where these are on a property, and how to judge what condition they’re in. The same goes for appliances like water heaters, washers and dryers, and stove ranges. Evaluating neighborhoods is another part of real estate training. Real estate agents and other professionals have to understand the issue of proximity and how that affects real estate prices. One component of this is the school district that the property is in.. The school district determines what schools children will go to, but it also determines the amount of property tax that will be paid on the property. In doing research on properties, licensed agents and others will start to understand why a given property has a specific value, and what that means in the context of the local market. Real estate agents learn to estimate price per square foot and get a feel for how many bedrooms and bathrooms will be in a property of a given size. each agent will have his or her own take on seasonal sales and much more. Other expert resources can help you start to understand the value of bedrooms and bathrooms in a home or investment property. In addition, you’ll be looking at water and sewer systems serving a property, lot lines, and local zoning. All of this gets extremely technical, so it’s a good idea to choose a real estate training school that will start to get you competent in these sorts of areas. In talking about more practical real estate training, we shouldn’t leave out something that’s very important—the process. Any licensed real estate agent needs to become familiar with the real estate process. People don’t just sell homes and properties in an instant. It’s a gradual transaction and one that requires a lot of steps to complete. This is another foundational component of what an excellent real estate school does to prepare someone for a real estate agent or broker career. Each of these steps requires its own attention and care. Real estate professionals often work with teams and communities of professionals to get the deals done. In some senses, real estate is “iterative” (you do the same thing over and over with a different property), but each process is unique. A great approach in real estate training is to start with that basic model, an iterative model, then build out and address different scenarios. Agents will get practical experience in the field, but the best real estate training can prepare them mentally for all of the different and often unusual things they may see when they are practicing real estate in a local community. When you’re looking for the best real estate school, ask about how instructors address this important part of the real estate process. It’s not just about showing people properties and figuring out whether they will buy. Although some pros point out that “showmanship matters,” the paperwork and legwork that takes place around each part of the process is a key part of understanding real estate work in general. 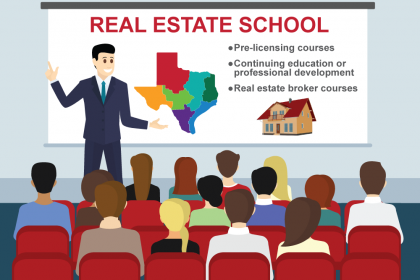 A Texas real estate school that does all of this is one that presents value to its students. When you start looking at lists of local schools, you’ll see how experienced and skilled instructors and administrators build on the foundations of their already successful careers in real estate. By using a lot of the guidance mentioned above, you’ll get closer to your real estate goals and to receiving your Texas real estate license backed up by practical real estate knowledge and experience. Looking at every relevant detail and selecting the best real estate agent training will pay off down the road!